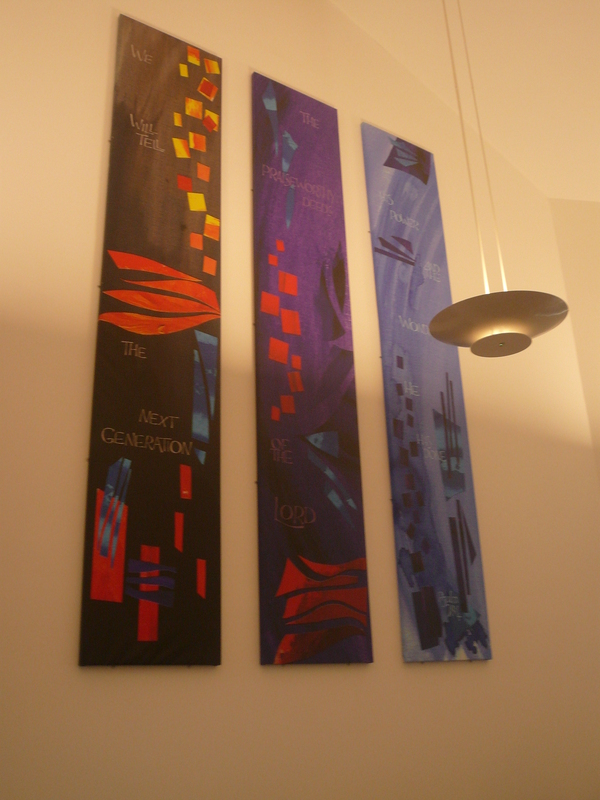 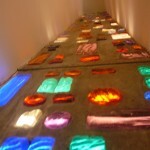 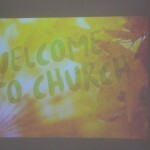 Tonight the Revd. 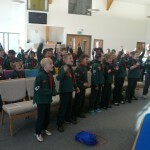 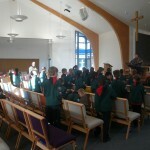 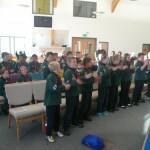 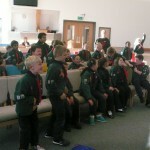 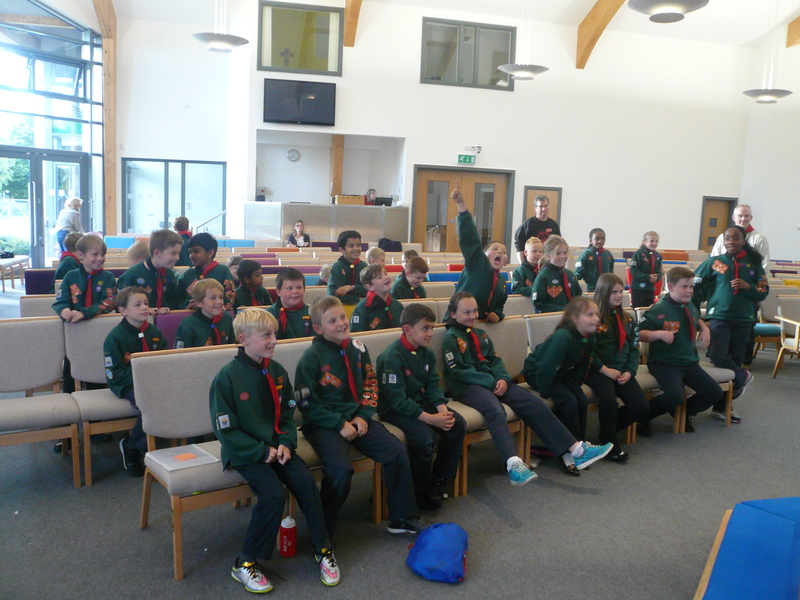 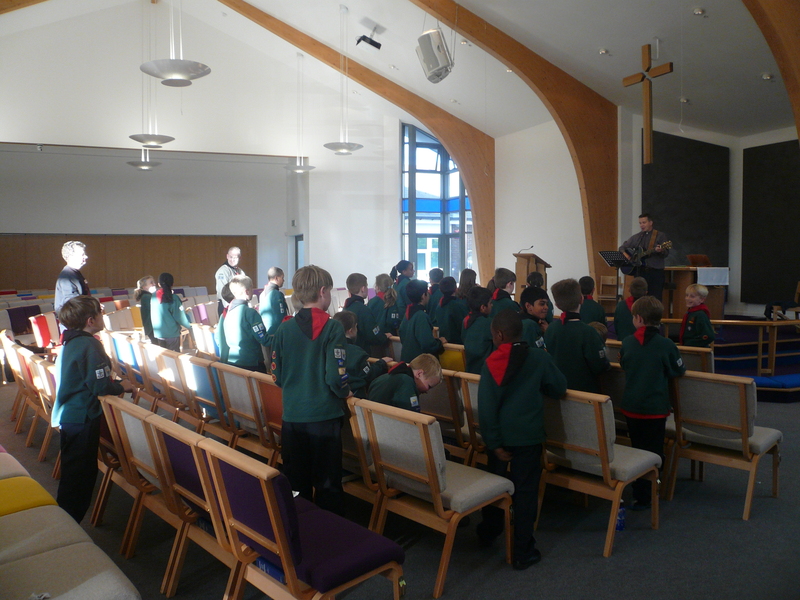 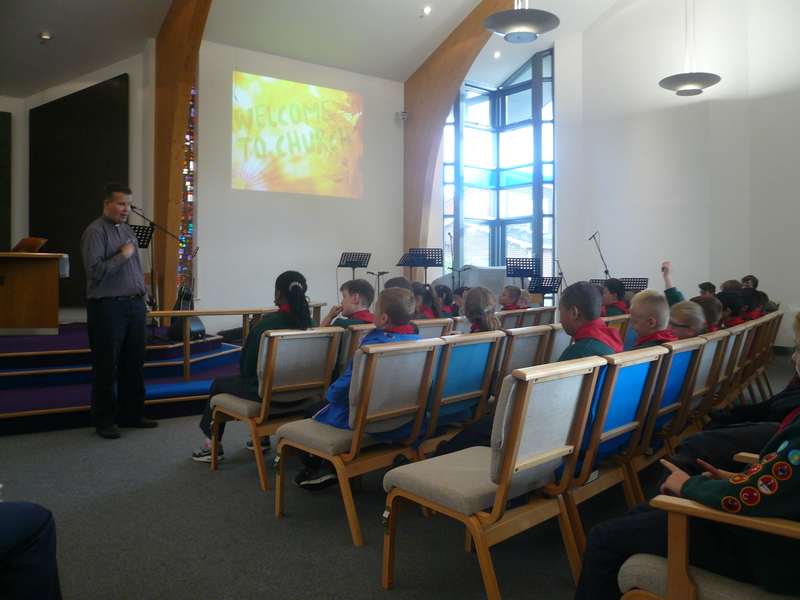 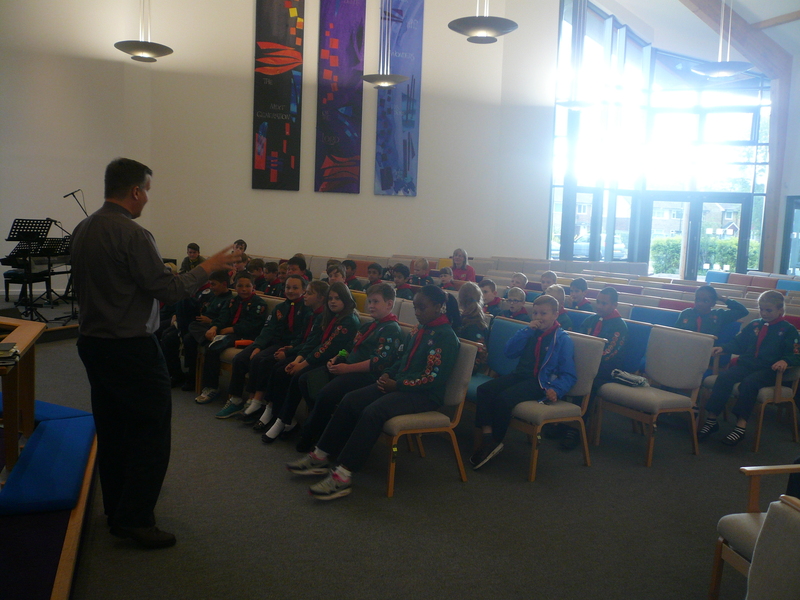 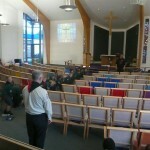 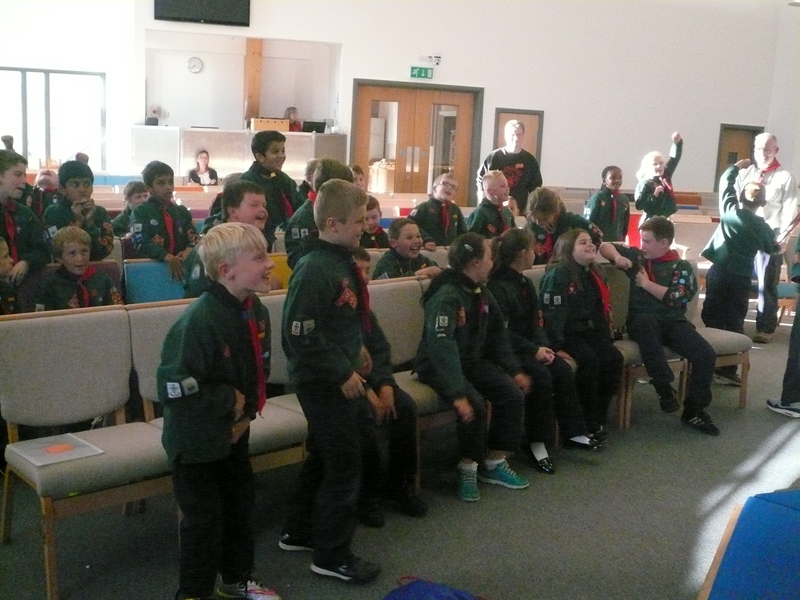 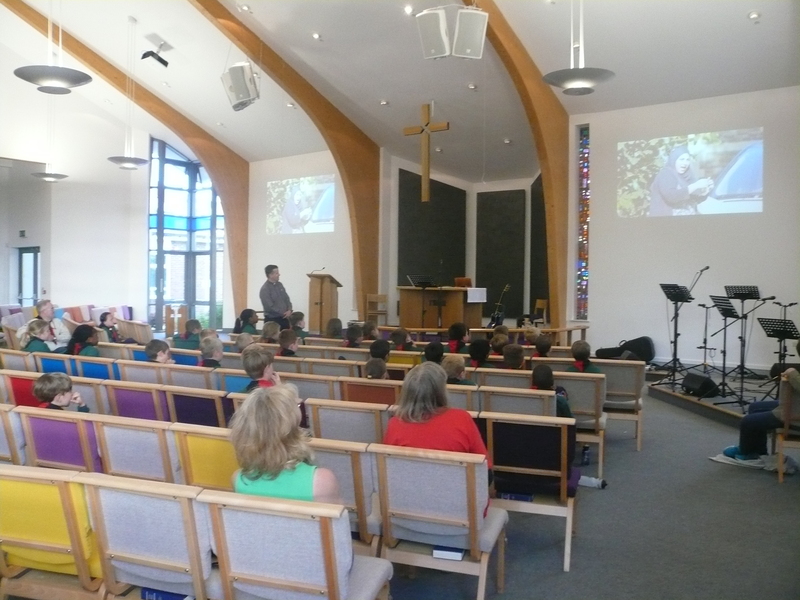 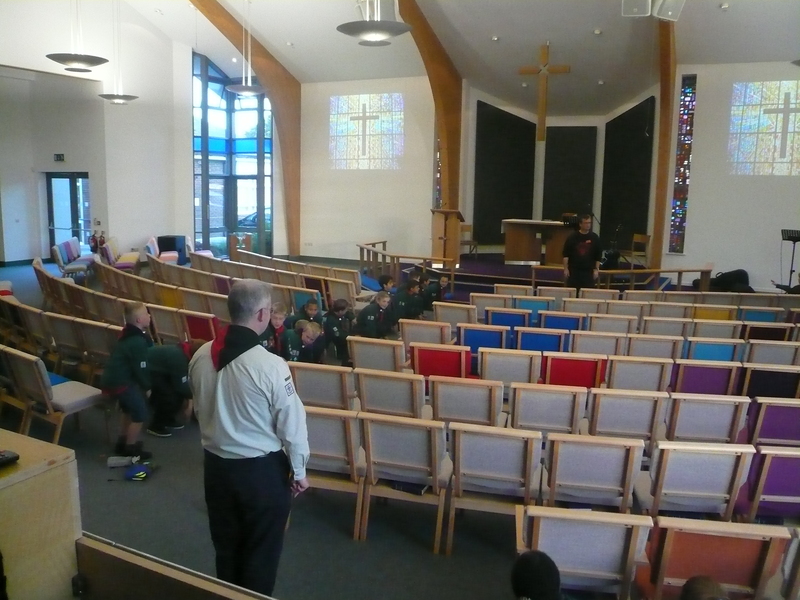 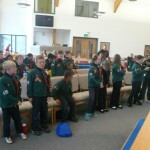 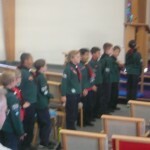 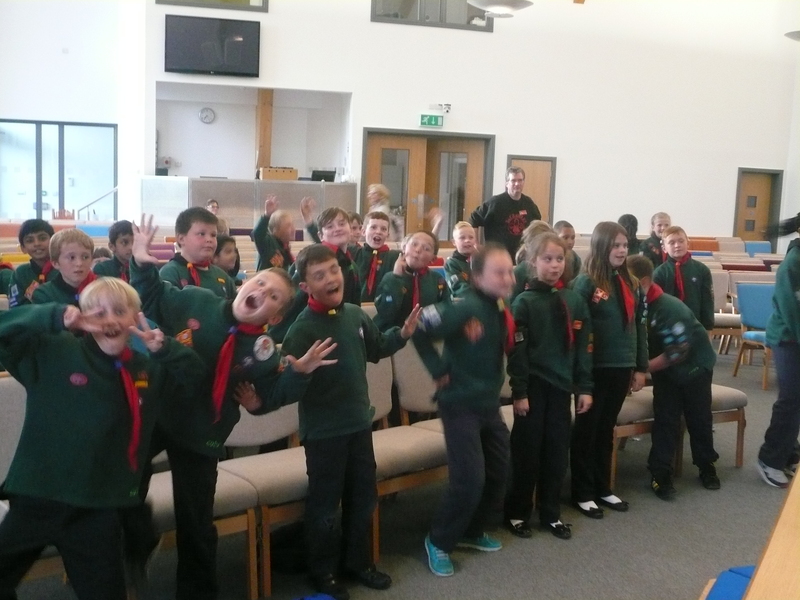 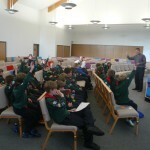 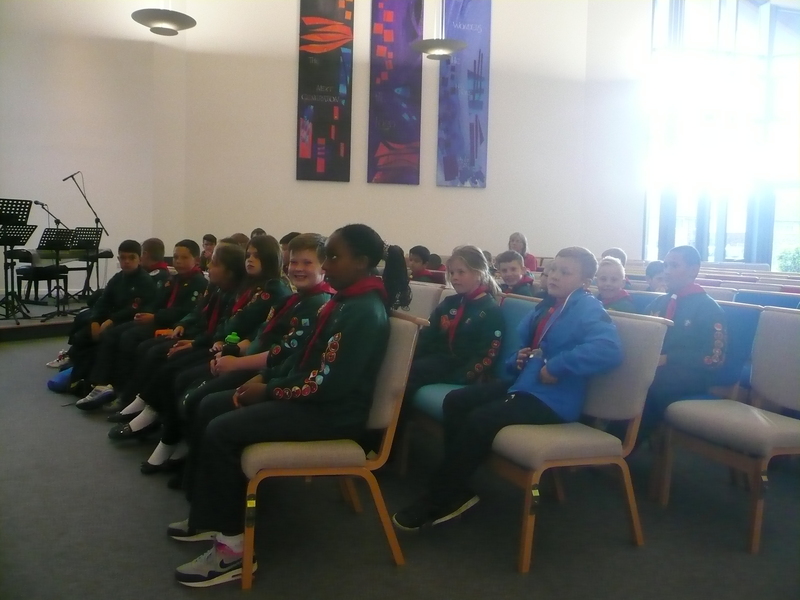 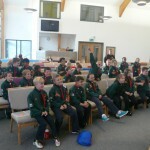 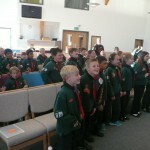 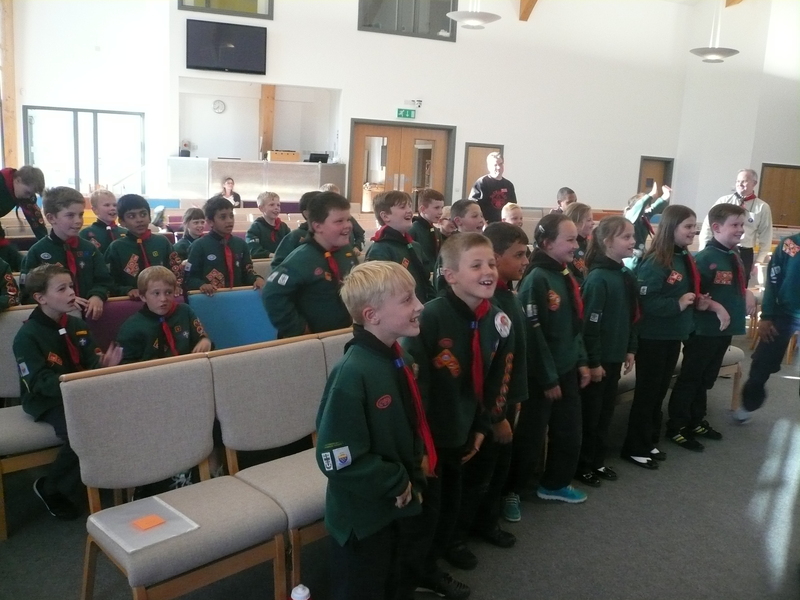 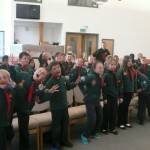 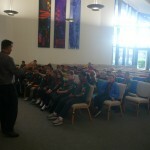 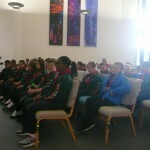 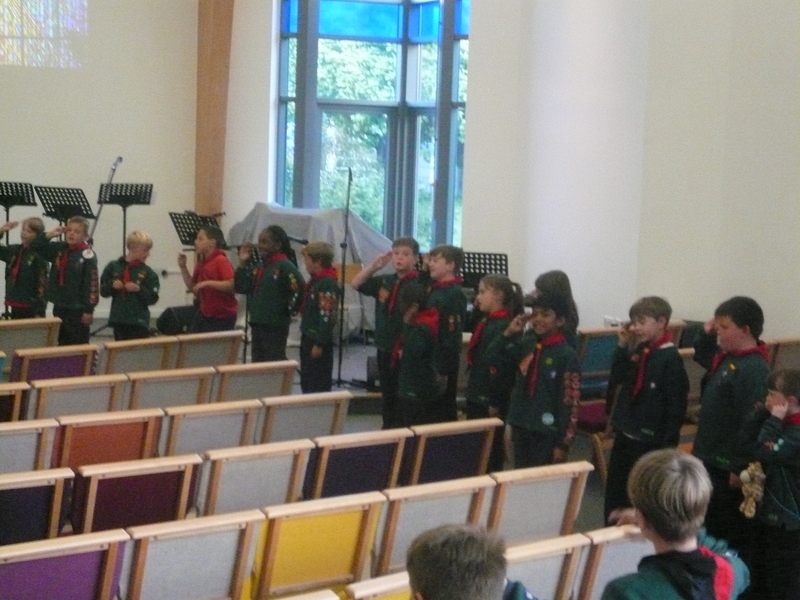 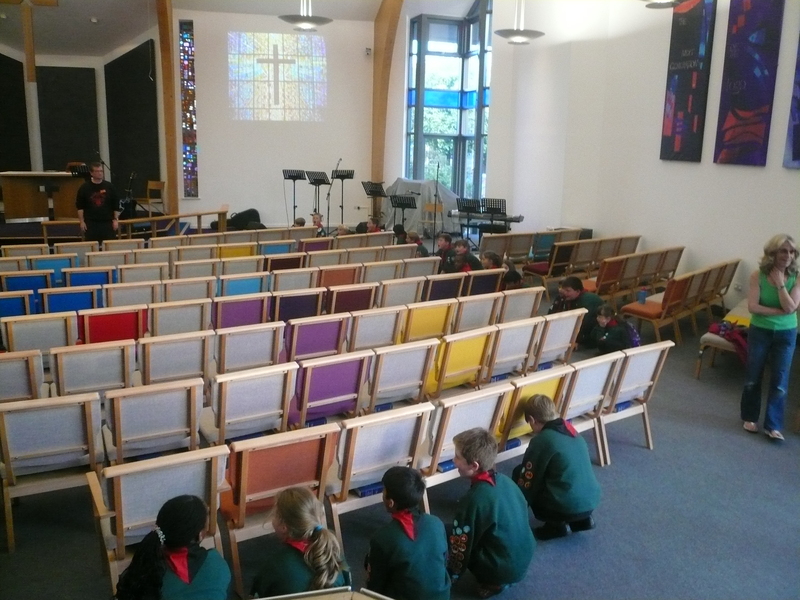 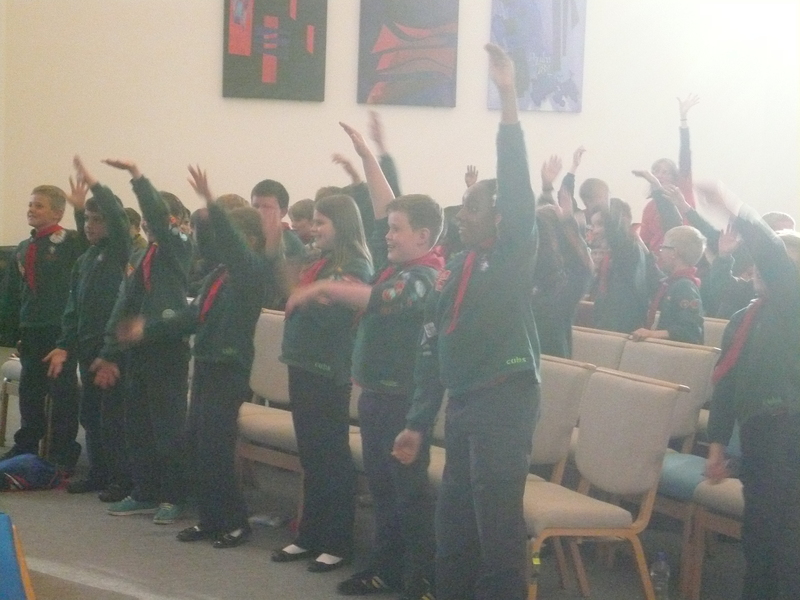 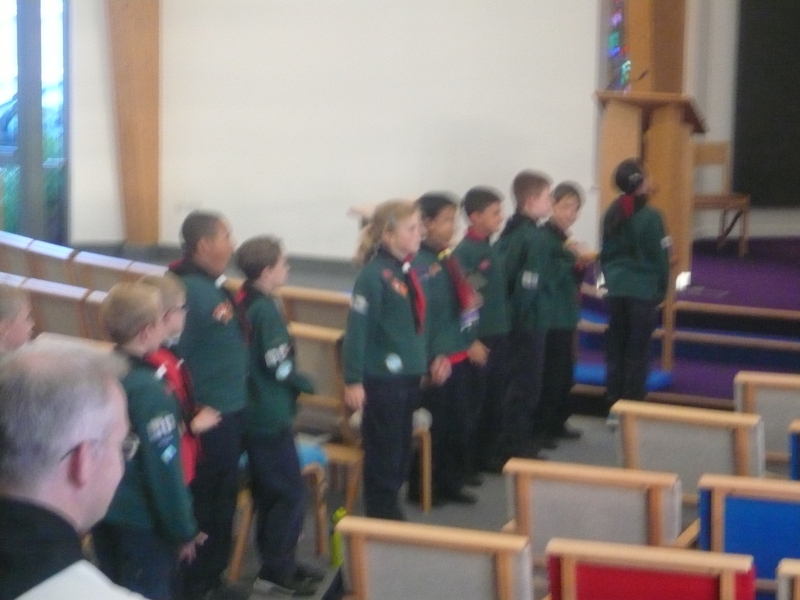 Richard Poole welcomed the Cubs to our local Anglican Church of St. Andrew’s in Furnace Green (where the Group attends the Family Service/ church parade each month) as part of the requirements of the COMMUNITY CHALLENGE BADGE. 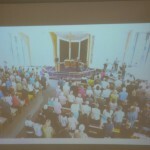 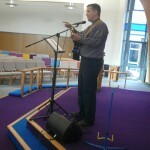 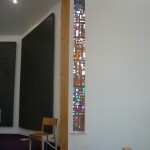 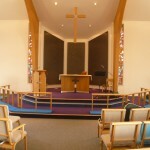 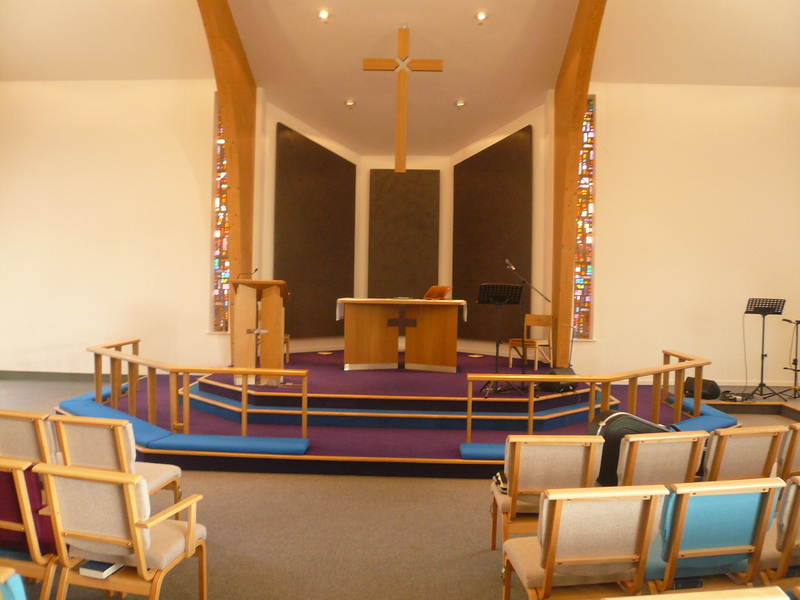 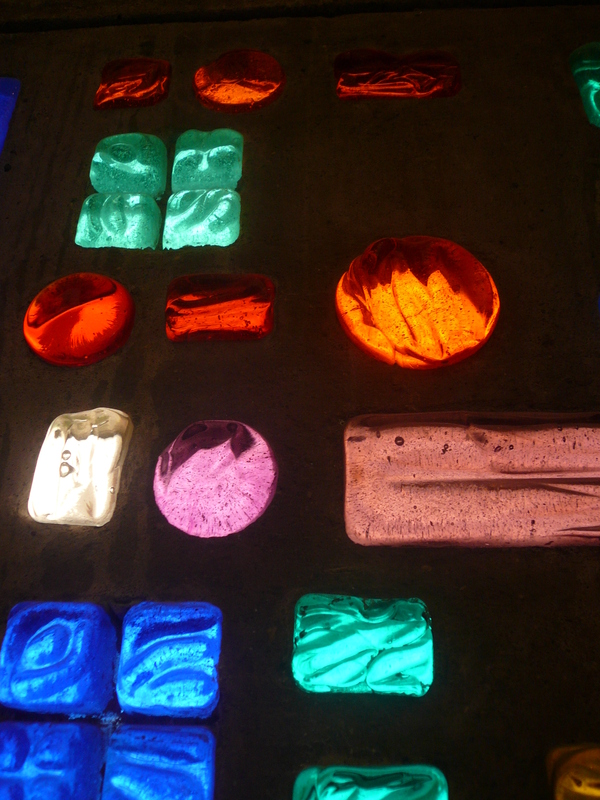 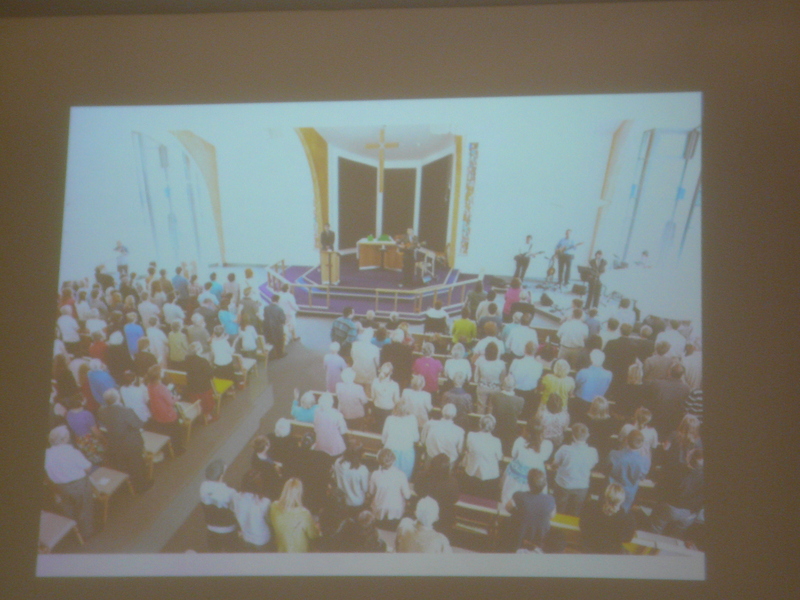 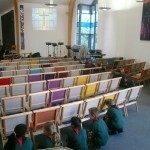 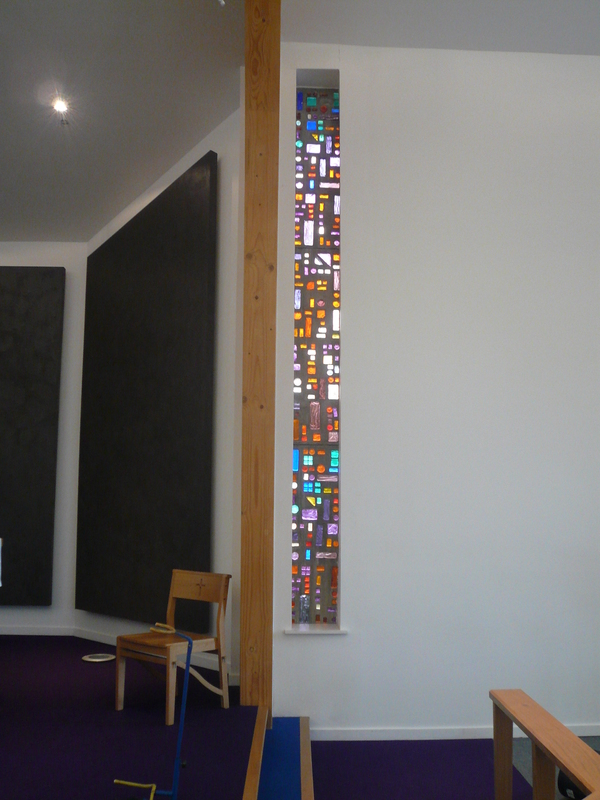 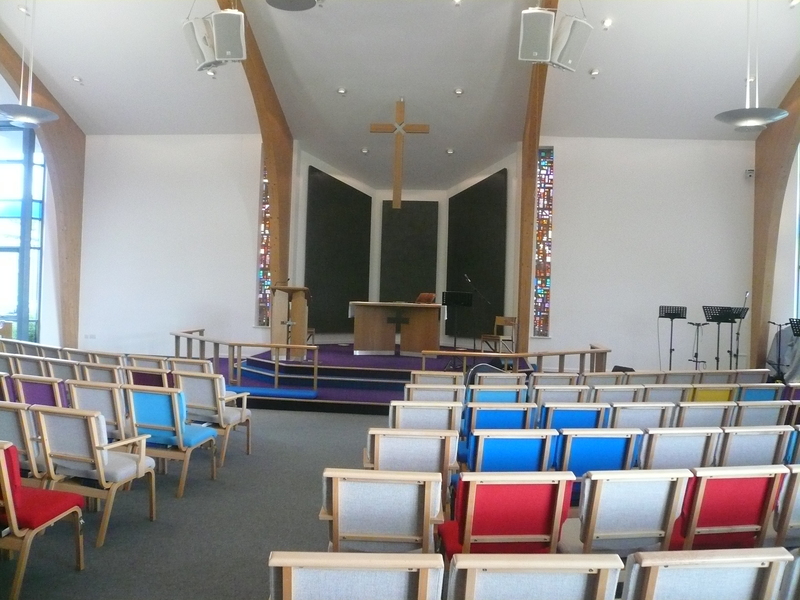 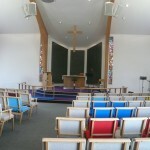 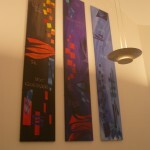 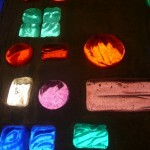 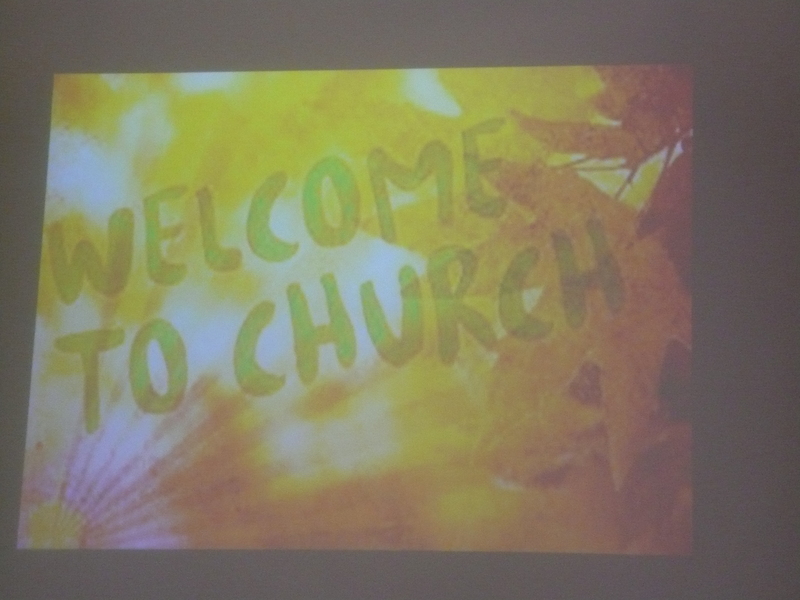 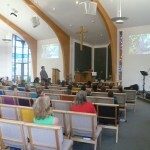 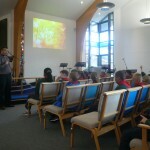 Richard introduced us to the Anglican Faith and we enjoyed watching a power point that he had created as well as a video (please follow this link to view: http://youtube.com/watch?v=yssJLVT51RE&feature=youtu.be) that had been produced soon after the rebuilding of the church in Furnace Green some three years ago. 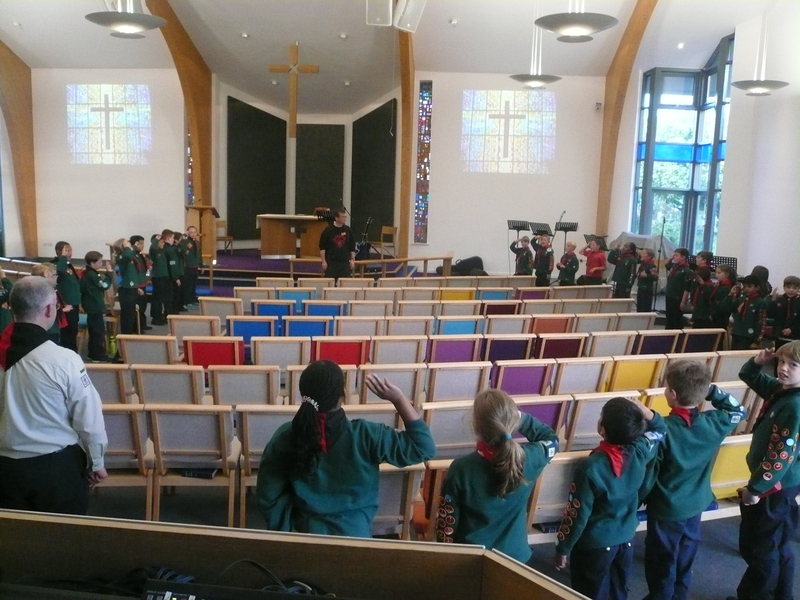 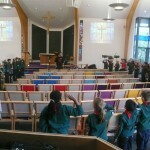 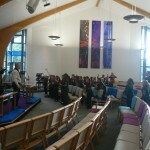 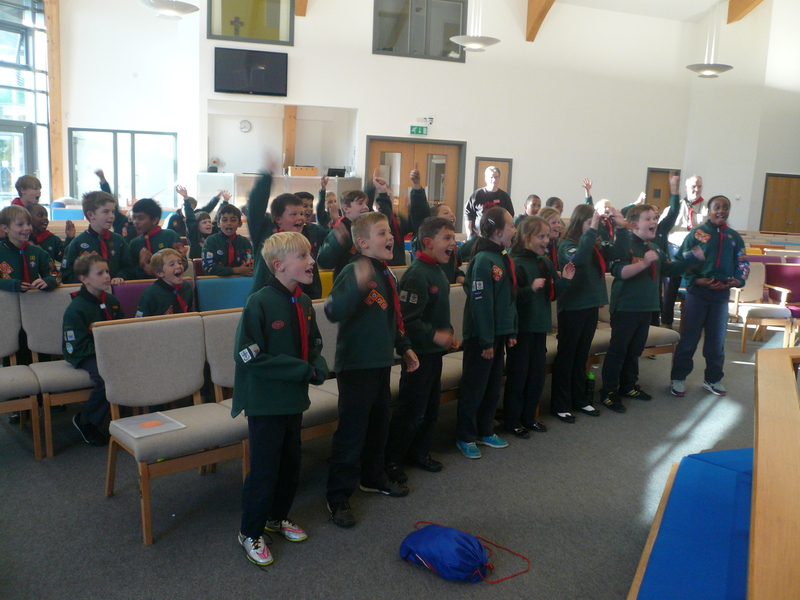 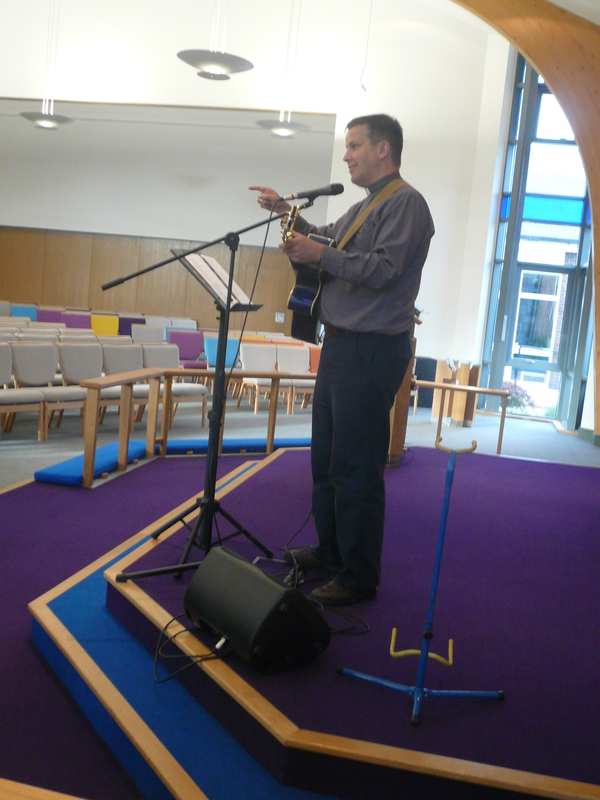 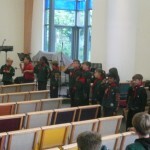 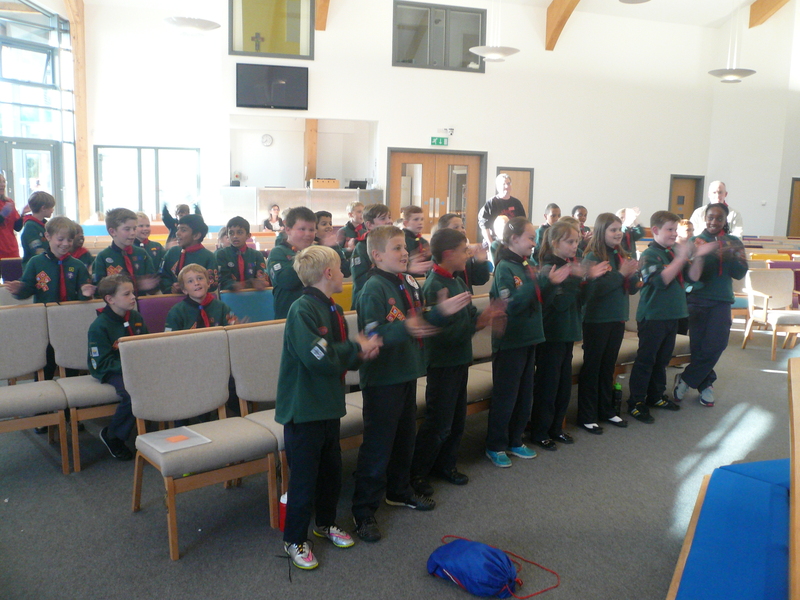 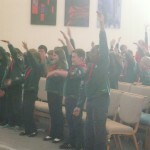 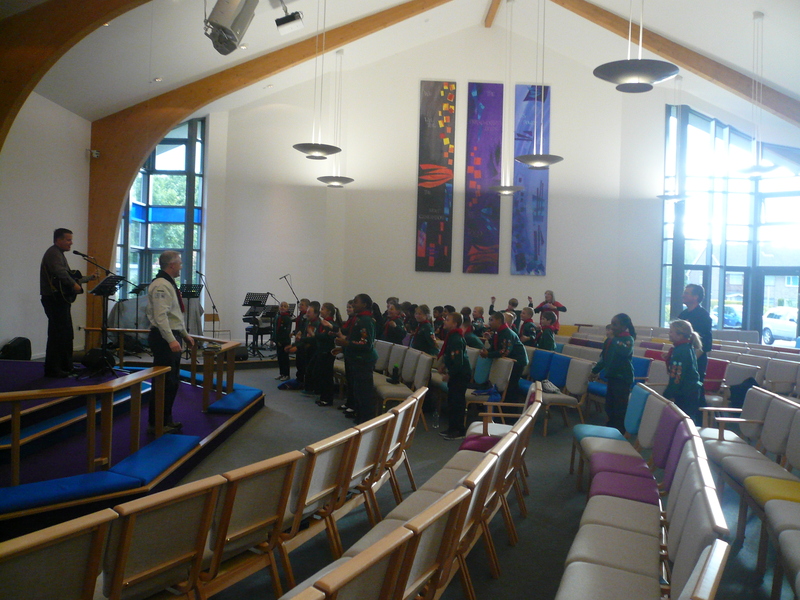 We then sang a couple of choruses that had the Cubs jumping, shouting and clapping! 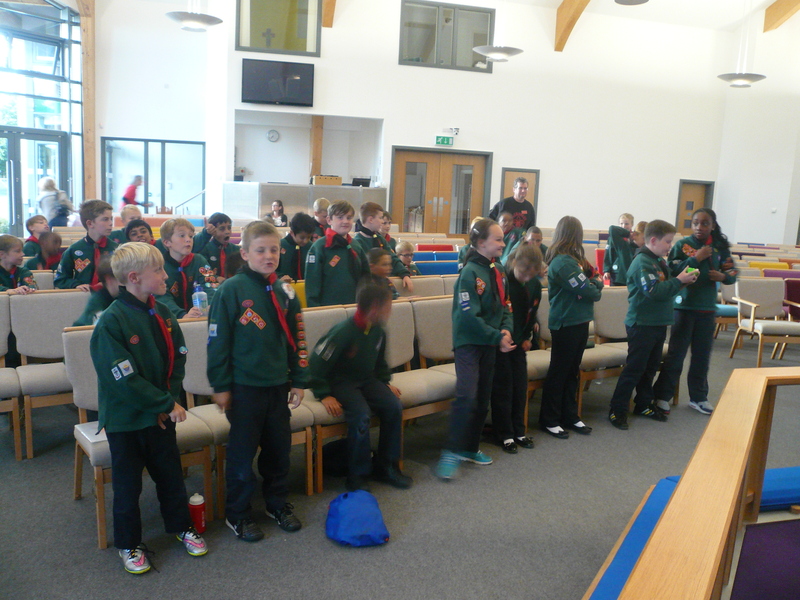 We finished off with our grand howl in the church. 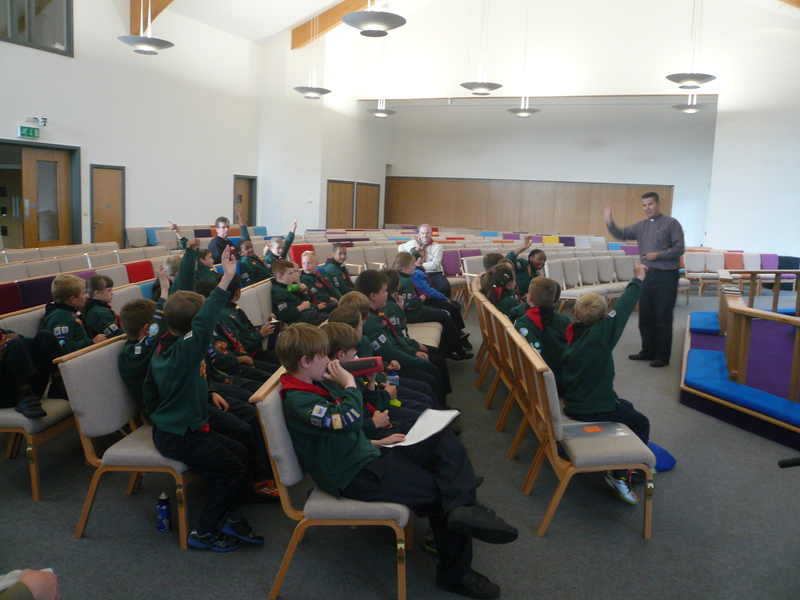 Our thanks to Richard for a very informative and interesting evening.